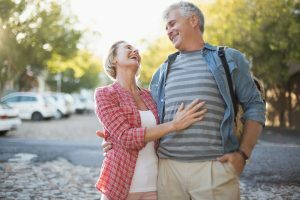 It is a fact of life that we all age each day; however, there are ways that you and the seniors in your life can be proactive to help age “better” each and every day. From incorporating exercise into a daily routine or using mental quizzes to help stay sharp and focused, finding ways to age better can improve the quality of your life. Aging better doesn’t have to mean that you or the seniors in your life have to change everything that is done on a daily basis, but incorporating small changes each day. As home care providers, we’ve worked with families in a variety of different ways to help seniors enhance their quality of life through these 5 ways to age better today. Get Exercise: Regardless of your age, engaging in some type of regular exercise can help you age better. Walking, biking, weight training—no matter what type of exercise you are interested in, having a regular exercise time each day can help slow down the aging process. A study in the New York Times showed that exercise makes our muscles work better with age, so find new ways to incorporate exercise each day! Sleep well: A lack of sleep can be detrimental to one’s well-being, contributing to depression, skin aging, and weight gain and a survey by the Better Sleep Council found that 48 percent of Americans say they don’t get enough sleep. Making sure that you find the time for great sleep by removing distractions and allowing yourself to rest and sleep well will assist you in getting higher quality sleep to age well! Take a brain teaser: As we age, our brains often have to work harder to remember information, so find ways to maintain your mental acuity by engaging in brain teasers or other cognitive thinking tasks that help keep your focus. Stay current: Another wonderful way to keep your mental edge is through reading; finding a great book to read can help you age better. If you have trouble reading small print, use a large print book or even listen to an audio book to help you stay engaged. In addition, staying current with the latest trends and information through magazines, websites and other information sources can help you feel more involved and current with the world around you. Socialize and engage: As we get older, we tend to limit our social interactions to a small circle of individuals and family; get out there and meet people! The old adage of “You are as old as you feel” can often be true, so break out of your comfort zone by socializing and engaging with others. Impart your wisdom with younger individuals and let them teach you about current ideologies to help you feel younger and age better. Even though we are all aging every day, we can be proactive in finding ways to age better starting as early as today. Exercise, sleep well, keep your focus, stay current and socialize with others to help you feel younger and invigorated, regardless of what may be happening in your life. As caregivers, the team at FirstLight Home Care knows that a great attitude can help brighten your day, so get out there and find your own way to age better…today!